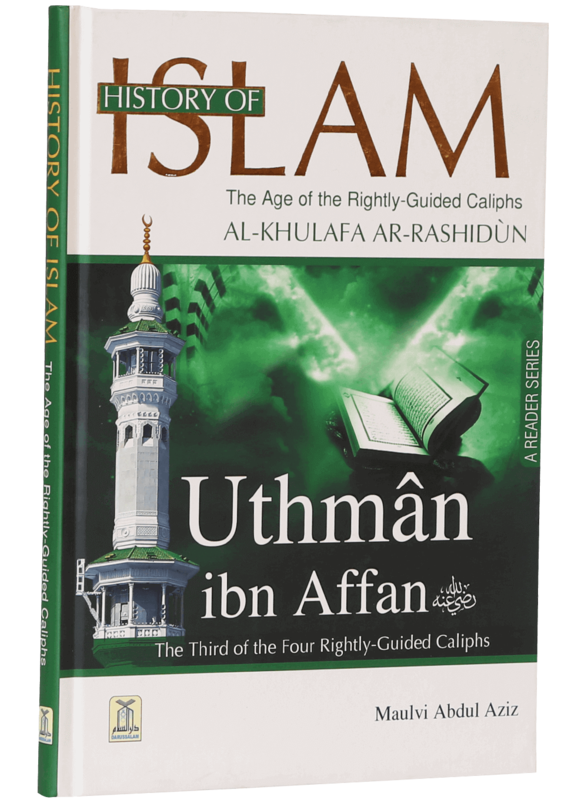 History of Islam, Age of the Rightly Guided Caliphs, Uthman ibn Affan (RA) is the third book in the History of Islam series by Darussalam. 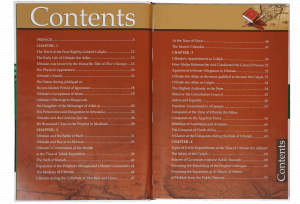 This series facilitates the Muslim youth with authentic information related to the history of Islam and its glory days and gives them a perspective to compare with the general Islamic information found online. 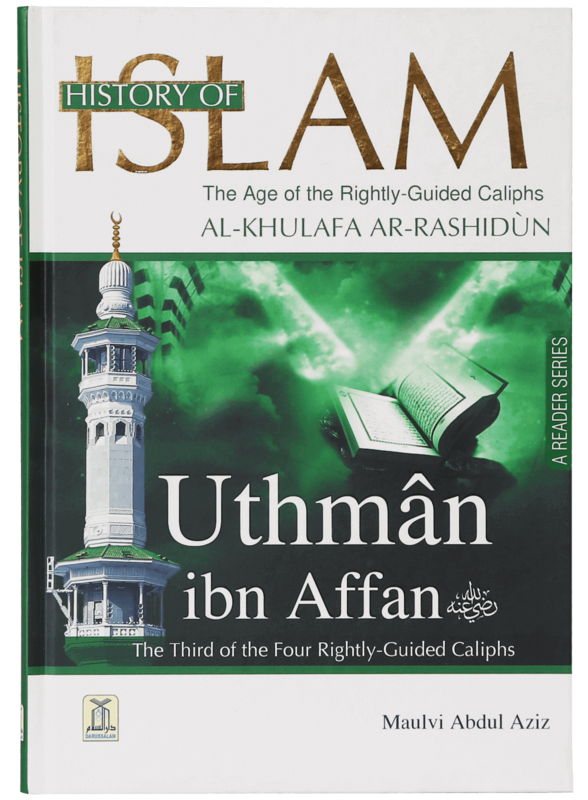 This interesting book on the caliphate of Uthman ibn Affan (RA) speaks a lot more about the life of Zul Noorain through the illustrations, maps and pictures it provides. 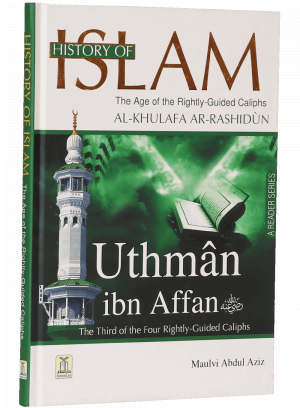 It is divided into seven chapters and the first three chapters reveal interesting details on the early life of Uthman (RA), his whereabouts during the battle of Badr and appointment as Caliph. 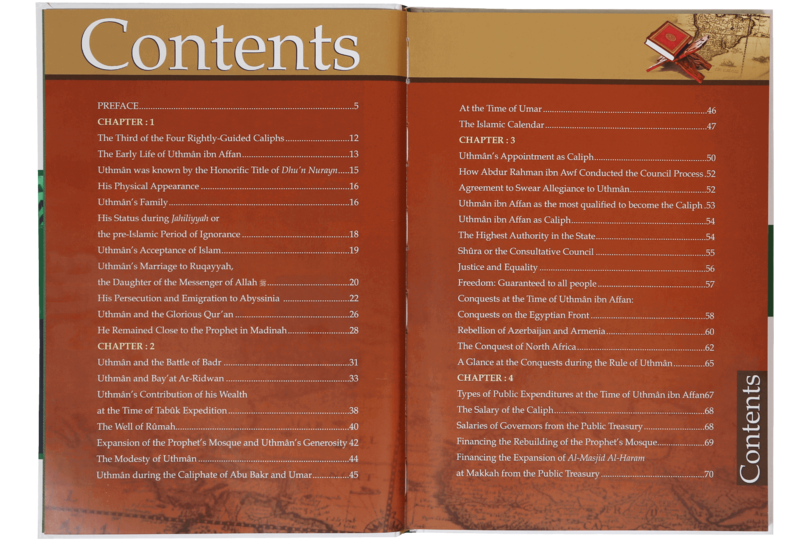 The fourth chapter highlights the types of public expenditures at the time of Uthman’s (RA) caliphate, the fifth details the conspiracy of Abdullah ibn Saba and the sixth chapter explains the allegations raised by the followers of Abdullah ibn Saba and Uthman’s (RA) clarifications. The last chapter is about the death threats received by the third caliph of Islam from the rebels.